I'm happy to say that I've recovered my mystery reading mojo lately. I reviewed Cynthia Harrod-Eagles' One Under the other day & I've been reading the latest issue of CADS (Crime and Detective Stories), the magazine devoted to crime & mystery fiction, mostly of the Golden Age. Highlights of the new issue of CADS include an article on Josephine Tey's Miss Pym Disposes by Kate Jackson, an article on J Jefferson Farjeon by Philip L Scowcroft & Liz Gilbey introduces readers to Vera Caspary's novel Laura, the basis for the 1944 movie starring Gene Tierney. I first heard about CADS through Martin Edwards' enthusiastic reports here & here but it was only last year that I got around to contacting Geoff Bradley & ordering a copy. As well as ordering the latest copy, I've been ordering a few back issues each time to make the best possible use of the cost of postage to Australia (if you're ordering one, why not four?) so I've been happily dipping into these back issues over the last week or two. CADS 60 (May 2011) led me down several reading trails which I'm still following up. 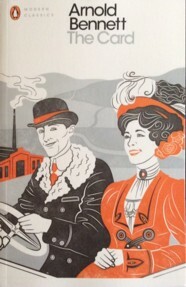 The feature article by Curt Evans (aka The Passing Tramp) featured several authors since reprinted by the British Library, including Freeman Wills Crofts. Then, there was an article by Christine R Simpson about Lord Peter Wimsey's sleuthing methods, Paul R Moy writes about Margaret Rutherford v Joan Hickson as Jane Marple & Philip L Scowcroft on Christie's The ABC Murders. I've read The ABC Murders before but downloaded it from my library for a reread. Then, Lyn McConchie reviewed First Hit of the Season by Jane Dentinger. In 2011, this series of mysteries featuring out of work actress Joscelyn O'Roarke, was out of print. However, Open Book Media brought them back as eBooks a couple of years ago & I reviewed the first in the series, Murder on Cue. In my review, I wrote that I would like to read more of the series but, of course, I haven't. However, I bought the first couple of books in the series for the eLibrary at work so I now have First Hit of the Season on my iPad. I've also downloaded a sample of another book, Murder in Volume by D R Meredith, long out of print but now available as an eBook. This one features Megan Clark, an out of work paleontologist working as a librarian. I couldn't resist! I was so interested in the fact that many of the writers mentioned in CADS are now available again through reprints both paper & digital - & this issue is only five years old. More details about ordering CADS can be found here. More reprints. Arnold Bennett is one of those middlebrow writers who fell out of favour in the later 20th century. Virginia Woolf's essay, Mr Bennett and Mrs Brown, probably didn't help. I've only read one of Bennett's novels, The Old Wives' Tale, but I enjoyed it & I've been wanting to read more. I mentioned a few months ago that Penguin will be reprinting Bennett over the next few months & my copy of The Card has just arrived. Vintage are also reprinting Bennett next year, including Clayhanger & The Grand Babylon Hotel. He's obviously due for a revival. I don't read a lot of historical fiction but I do love reading novels that were written during the period when they're set eg during the World Wars. Casemate's new list of Classic War Fiction looks very interesting. I read a review somewhere of Mr Britling Sees It Through by H G Wells (I thought it was Simon at Stuck in a Book but I've just searched & it wasn't). Anyway, this is a Home Front novel set during the Great War & I'm keen to read it. The covers look beautiful & I'm just shallow enough to be impressed by that! This is a fascinating article from the Guardian about the archive of material that Germaine Greer has deposited with the University of Melbourne. What begins as a description of Greer's archive becomes a discussion of the problems of retrieving & conserving material kept in obsolete formats. From floppy disks to old versions of Word, the costs involved in keeping this material will be considerable. Now, a literary confession. 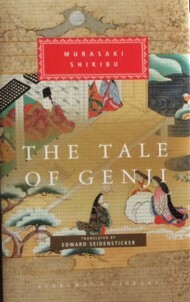 After loving The Tale of Genji, I became obsessed with reading another translation. Edward Seidensticker seemed to be a favourite of several readers so, even though I've just finished reading the book, I've bought a copy of the Seidensticker translation. I plan to just reread the Uji chapters (about the last 300pp) as this section forms a complete narrative of its own. I've been dipping in already & the narrative does seem to flow very smoothly & Seidensticker uses proper names rather than titles for the characters which I think will be helpful. Apart from the contents, the Everyman's Library edition is just gorgeous. Finally, being a bookworm leads to a longer life. It's in the New York Times, so it must be true! 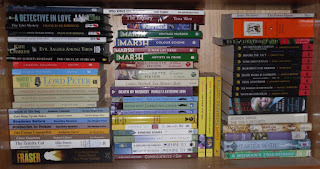 The problem with book blogs and magazines about books is that they invariably lead to increases in TBRs. I've just downloaded Murder in Volume and archived the link to CADS. I'm not sure I should thank you! Now Joan, you know you're thrilled to be adding to the tbr mountain! Since writing this post last weekend, I've read The Past is Myself by Christabel Bielenberg which has led me down another trail of books about WWII by German writers. 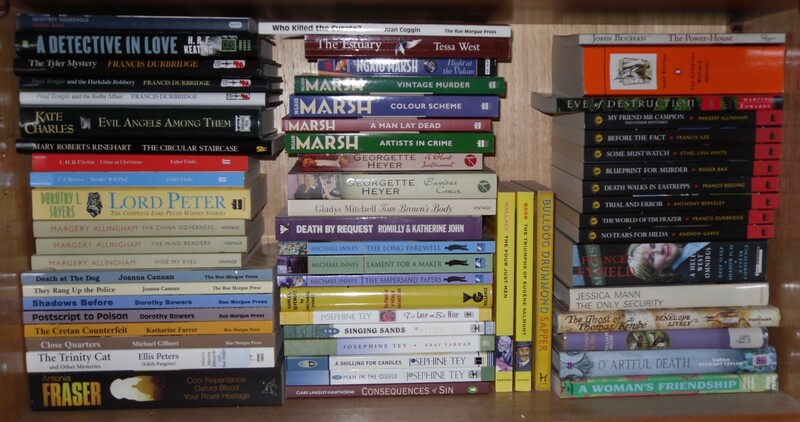 The temptations are endless; I just hope I live long enough to read all these books I keep buying! A fascinating post! I must read those Arnold Bennett books and can assure you that Wells's Mr. Britling Sees It Through is good. I do love Bennett and Wells and must get back to them. And I love it that you're trying a different translation for Genji. I sort of jumbled up bits of three, but now inspired you maybe I'll read a section just in the Waley! Thanks for this inspirational post. Thanks Kat. I'm glad for the vote of confidence about Mr Britling. I think rereading just a bit of Genji in a different translation will be good & I may even try the Waley after that if I'm not Genji-ed out. I'm so pleased about the Penguin reprints of Bennett. They're such lovely editions, I love the paper & the cover art of the new Modern Classics, very tempting. Hi Lyn. Great post. I'll have to look up CADS as it sounds right up my alley. You've also triggered my memory that I have a Vera Caspary omnibus in my TBR bookcase that needs to be read. It includes: Laura; Bedelia; and Evvie. I've seen Laura, the film so many times and I love it. I have the DVD of Laura but haven't watched it for years. I've never read the book so should do that too. CADS just adds to my tbr pile but it's a very enjoyable read. I know he's not terribly popular, but I loved The Old Wives Tale too. And did you know that his Riceyman Steps is about a bookstore? I loved it too! I started reading RS a few years ago on my ereader but the file seized up & I never went back to it. I'm looking forward to getting my hands on a physical copy for the next attempt.